Will My New Flooring Be Green? 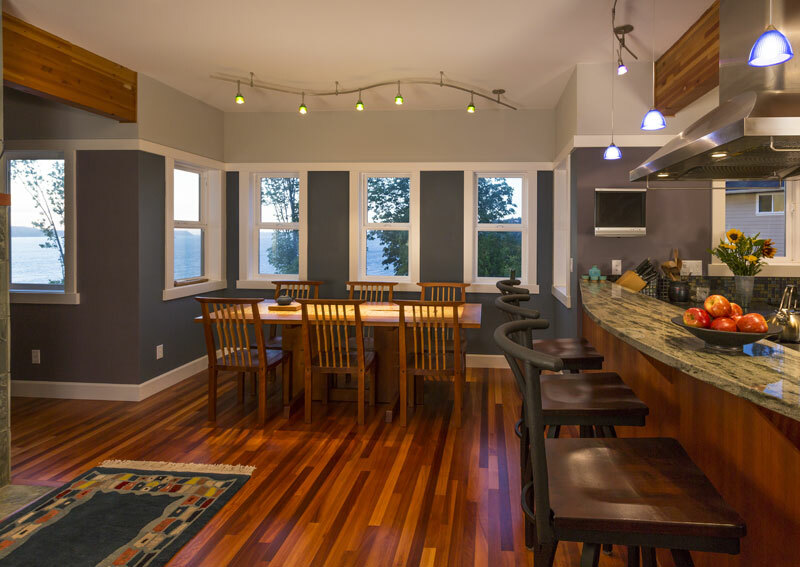 As a conscious consumer, your first question asked before you buy any kind of flooring may be “Will my floor be Green?” Keith Clay Floors says it depends on the products you select. If you want to talk about green floors in general then lets discuss what our industry means when it says a product is “Green”. Education about flooring is critical to you making the proper selection about a product you may want to use in your home, business, or institution. And it also may determine what floor you are required to provide per city code where you are constructing. The flooring industry as a whole is no different on green certifications than any other; in fact it can be said that transparency and authenticity are becoming more important but are expected as well. From a food perspective you want to know where the food comes from, where the products are made, and the working conditions of the laborers involved as well. All industry public want to hold corporations and manufacturers to a high standard of accountability in the new age of social media, 24 hour news and the so called social responsibility. The hardwood flooring industry also faces the same scrutiny; and our customers do ask questions about the wood, where it comes from, if the products are sustainable, and if it could affect family health in any way. Keith Clay Floors, here in Dallas Texas agrees that being able to ensure quality, sustainability and flooring safety can come through third party testing and validation. Both of these certifications indicate the wood used to make the flooring was harvested sustainably. Responsible forest management includes ideas such as protecting fragile ecosystems, respecting native cultures and economies, and restricting clear-cutting and pesticide use. Foresters meeting these certifications are responsible for ensuring the wood really came from the forest that was certified. For the flooring to be labeled with these certifications, the wood must follow a chain of custody all the way from forest to flooring. FSC Certifications are stricter in terms of how much clear-cutting is allowed as well as use of pesticides. While most experts disagree on the advantages and disadvantages of the two certifications; FSC is harder to achieve, and it’s harder to find FSC-certified wood flooring. For both FSC and SFI certifications, they have online product databases to help locate their products. If you go beyond certifying the wood itself, a certification like SCS Global’s FloorScore; it’s purpose will assure protection for installers and their customers during installation, the life of the product and the removal process by certifying that the product meets healthy emissions standards for indoor air quality. What’s Behind Certifications? Will these certifications increase the cost of the products? Certifications and validations do increase the cost of the product. Each step of the process is an investment for manufacturers and foresters; and prove that these products truly do meet green standards. This evaluation gives the stamp of approval from an official source for builders and contractors alike. “Third-party laboratory testing ensures that testing is unbiased and follows the specified testing method,” says Jenilee Napalan, SCS Global flooring program manager. Third-party organizations should do several things to ensure that, including maintaining separation between the certification body and the testing laboratory. This ensures all testing is done to meet standards and not to make a profit. The time, effort and resources behind that SCS Global Flooring Program logo are extensive. The actual visible logo will confirm they meet the requirements of the Indoor Air Quality Product Performance Standard for Building Materials, CDPH/EHLB Standard Method V1.1 and California 01350. All materials and ingredients used in the manufacturing of the finished goods are tested, including adhesives, resins, particleboard cores and surface finishes. Also, the manufacturing sites must undergo an on-site audit, and FloorScore certification requires annual re-evaluation of the certified products and the quality management system of the manufacturing sites. This is good news for you as a potential purchaser of a flooring product with the logo. and while many companies these days will tout their products’ green qualities, the only way to be certain of environmental responsibility and providing customers with products that are safe for their health is to choose products with impartial certifications. NWFA’s RPP – NWFA’s Responsible Procurement Program (RPP) is the wood flooring industry’s response to the growing demand for products sourced from healthy, vibrant forests. The RPP provides progressive “tiers” that act like rungs on a ladder on which participants move gradually upward toward ever-higher levels of social and environmental performance. Participating manufacturers are held accountable through annual third-party audits to ensure the raw materials in their supply chains come from documented renewable sources. For more information, visit www.nwfa.org/rpp.aspx. If you have more questions about green flooring of all types, please contact us here at Keith Clay Floors. World Class Craftsmanship. Reasonable Prices. This is our motto. Call us today and find out more about purchasing green flooring for your home, business, or institution. Call 972-463-6604 or 817-663-5235 today to request a quote, or submit the Request a Quote form on the home page.